Resmar have an excellent range of Thermal Imaging cameras designed for Fire detection or Search and rescue or man overboard situations. Exceptionally well designed thought out, thoroughly field-tested and manufactured from high quality materials, these cameras represent the state of the art in the fire safety and marine safety industries today. 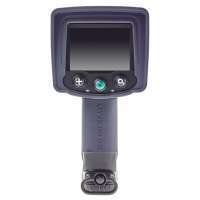 Thermal Imaging Cameras There are 3 products. Fire thermal imaging cameras are designed for use in in the most dangerous and demanding environments to provide modern firefighters with state of the art tracking and heat detection. Search and Rescue thermal imaging cameras are long range thermal imaging cameras ideal for any situation from surveillance and vessel security to "man overboard". Search and rescue thermal imaging cameras have the ability to identify objects over long ranges in the dark, in fog, smoke, or direct bright blinding spotlights. Search and Rescue Thermal imaging cameras are also used for searching for and locating missing persons or animals. We have researched the market and found what we consider to be the best thermal imaging cameras in terms of performance, image quality, reliability and value for money. 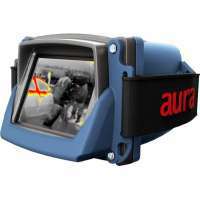 For more details click through to the cameras and view the manufacturers data sheets for in depth technical specs. Our team of advisors are here to help you if you have any questions or need any help in selecting the right Thermal imaging camera for you needs.